A thick heavy duty, ready to apply formula that sticks to vertical surfaces being cleaned to help emulsify the greasy, oily, carbonized build up that occurs naturally during the normal usage of the ovens, grills & fryers. Fast acting formula that delivers great results. 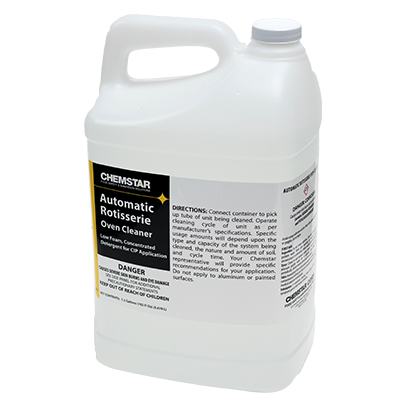 This cleaner is ready-to-use and required no special mixing. Kosher certified. 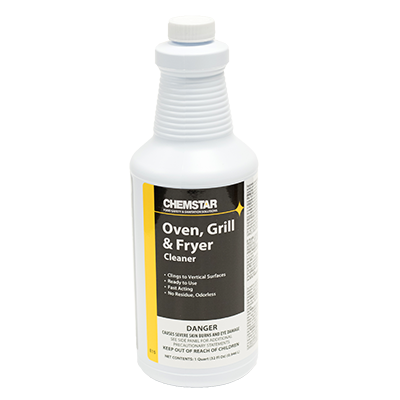 A specially designed ready to use product to help clean the interior of convection and toaster ovens. Product helps to break up the everyday build up that occurs from normal use of these units. Applied through trigger sprayer, simply spray and wipe. 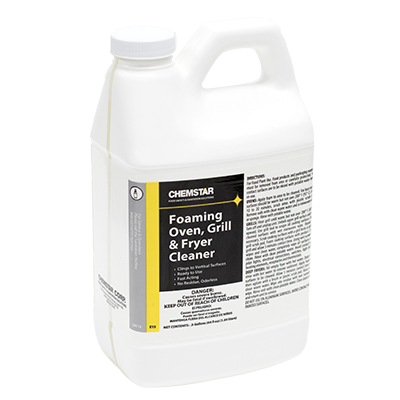 This high foaming, heavy duty, formula sticks to vertical surfaces of grills and grates to help emulsify the greasy, oily, carbonized build up. Fast acting formula that delivers great results! 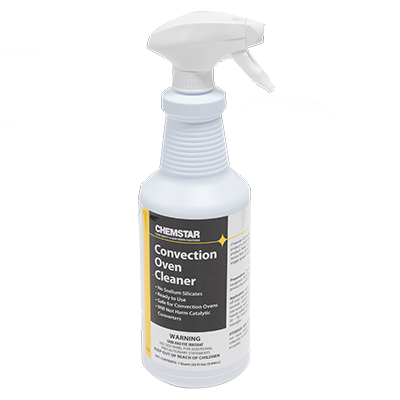 This cleaner is dispensed through our specially designed Hose End Foam Pack for maximum results. 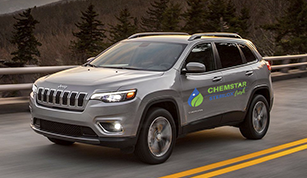 A heavy duty, high alkaline self-foaming detergent that removes tough, baked on soils. 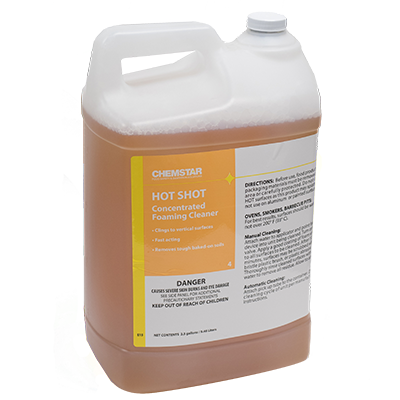 Greases, fats and carbonized soils are quickly and effectively removed by the powerful alkaline formulation in Hot Shot. Kosher Certified. A heavy duty, high performance liquid detergent designed for use in automatic rotisserie ovens. 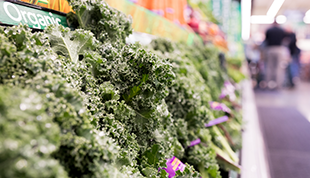 Alkaline formula cuts through tough soil loads.